I really thought I would be working by myself today wrapping, labeling and loading Bibles and was very pleasantly surprised to find new volunteers already at the Berean office waiting to start work. 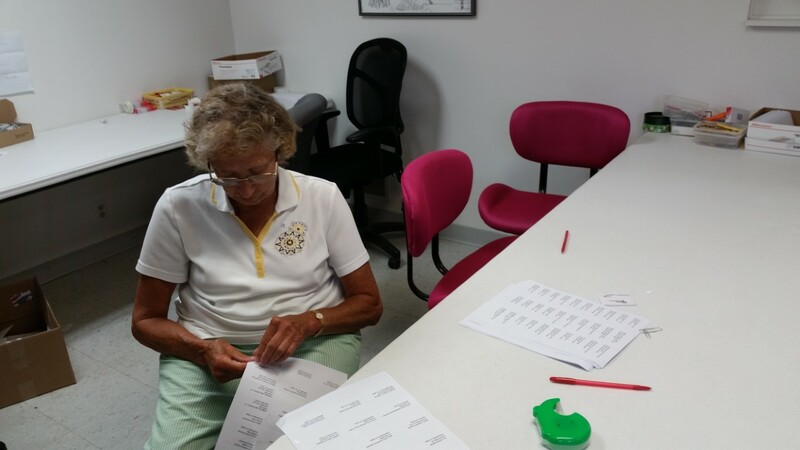 Anna was put to work in the other room getting the Bible labels ready for applying. Robyn, Ken and (not pictured) Glenna went right to work on the Bibles. We had them all stuffed, wrapped, labeled and loaded by 10:30 am then sat down and enjoyed a piece of apple pie ala mode.